Background/Purpose: Several reports suggested that the incidence of obstetric complications such as pregnancy induced hypertension (PIH) and preterm birth was higher in a pregnant woman with systemic lupus erythematosus (SLE) than in a healthy woman. Dysplasia of placental vessels was thought to be one of the putative cause for PIH. It followed by maternal vascular endothelial dysfunction, which lead to vasospasm and hypercoagulation. As a result, maternal blood pressure rose and renal impairment occurred. In the meantime, vascular endothelial dysfunction is also involved in the mechanism of Raynaud’s symptoms, which is often seen in patients with SLE. Therefore, there may be an association between the high incidence of PIH and Raynaud’s symptoms in pregnant women with SLE. However, there is no report investigating the association. To that end, we studied the association between PIH and Raynaud’s symptoms in women with SLE. Methods:We conducted a questionnaire survey to SLE patients aged 20 to 50 who visited Showa University Hospital between December 2015 and April 2017. We investigated the following three contexts: 1) Raynaud’s symptoms before pregnancy 2) Pregnancy experience 3) PIH and preterm birth. Results: In total, 109 female SLE patients were applicable, and 43 patients had experienced pregnant. Among 43 patients with SLE, 17 patients developed SLE before pregnancy. Of 17 patients, Raynaud’s symptoms were observed in 5 patients, of whom 4 was complicated with PIH during pregnancy. In contrast, among 12 people without Raynaud’s symptoms, only one person had experienced PIH. There was significant different occurrence of PIH between those with and without Raynaud’s symptoms (p= 0.0099 Fisher exact test).We found that PIH occurred more frequently in patients with SLE when Raynaud’s symptoms were seen before pregnancy. The mechanism of this association was beyond our scope, but we speculate the involvement of endothelin-1. It is considered that high serum concentration of endothelin-1 contributed to the development of PIH. On the other hand, serum concentrations of endothelin-1 were reported to be high in patients with SLE having Raynaud ‘s symptoms. As we could not examine the activity of SLE in this study, we are planning to investigate prospective study for uncovering the detailed association and underlying causative mechanism. Conclusion: We identified the association between PIH and Raynaud’s symptoms in patients with SLE for the first time. We should pay attention to the onset of PIH in SLE-associated pregnant women who have Raynaud’s symptoms before pregnancy. Disclosure: S. Isojima, None; M. Saito, None; Y. Miura, None; N. Yajima, None. Isojima S, Saito M, Miura Y, Yajima N. Raynaud’s Symptoms and Pregnancy Induced Hypertension in Patients with Systemic Lupus Erythematosus [abstract]. Arthritis Rheumatol. 2017; 69 (suppl 10). 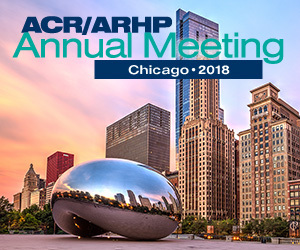 https://acrabstracts.org/abstract/raynauds-symptoms-and-pregnancy-induced-hypertension-in-patients-with-systemic-lupus-erythematosus/. Accessed April 20, 2019.